*This post was originally published May 7, 2015. Some time ago, when Georgia was still tiny and all swaddled up and the skies were gray and icy, I sat in the rocker in the nursery rocking back and forth. I was reading about the last supper, the last meal my Savior shared with his friends before his crucifixion. 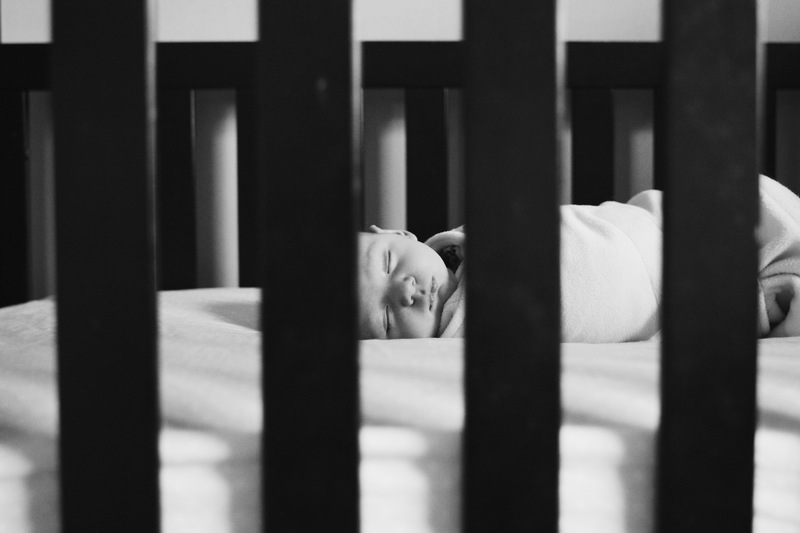 I glanced over at the eyelashes of my baby girl between the crib slats. I was weary and feeling very empty. I was also feeling very lumpy post-delivery and very in need of a shower. Those words kept crashing in my head like waves on the beach. Broken. Poured. Like a piece of wood bent until it splinters in two. Like a wine bottle hitting the tile and shattering, crimson droplets everywhere. Bread broken. Body broken. Cup poured. Blood poured. I was a mess of emotions Tuesday after hugging Heather tight and saying goodbye to her before Jess and I boarded a plane back home. Heather is one of the most talented writers I know, and one day while talking in the car we both said how difficult writing is in this season. Because quiet time is rare and little hands need us. Because our minds feel like mush. And, I confessed to her, because it feels like every blog I write reads . . . This is hard. This is really hard. Have I mentioned this is hard? And who wants to read (or write) that all the time. But it is hard. And that’s okay. I could write just the pretty stuff, but that would be a lie. Break and pour. That’s what we do. Whether by pregnancy or adoption, our bodies bear the scars and the stretch marks and the gray hairs of that breaking. Our hearts beat with the muscle memory of those desperate tears and the painful prayers of that pouring out. We are acutely aware of our own brokenness, humbled by this great call on our life, this call of motherhood. We are keenly aware of our need to be poured into–by the Word, by the gift of friends and marriage, by the Sabbath. We break bread and cut the crusts off peanut butter sandwiches and break smiles when they tell us the same knock knock joke 89 times in a row. We break sleep and change the sheets and rock the baby and banish the monsters under the bed. We pour milk and juice and cool water. We pour Cheerios and laundry detergent and cups of bath water over dirty heads and sun-kissed noses. And all those tiny moments seem insignificant and menial. But they aren’t. Because woven into each of those seemingly unimportant actions is the pursuit of a relationship. A relationship born out of love. A relationship for which we sacrifice and surrender. We break because He broke. We pour because He poured out. We love because He loved. I am continually amazed at your wisdom! Your transparency and honesty bless me every time you write! Never stop opening up your heart and your life because there is one of your followers who need your touch along with the Master’s touch that comes through your writing. Even though I am in a much different season of life-you speak Truth and encouragement into me! Thank you for your obedience and trust in Him! You are going to make me cry! Thank you for your continual encouragement. I always remember your words. Hugs!